BRIGHAM CITY, Utah – Storm Products announced Chad McLean as the new Technical Director. His primary responsibilities include leading Storm’s product testing, weight block designs, and the USBC ball approval process. He will continue to manage the technical team who create solutions to customer requests. The bowling journey started for McLean when he was just three years old. He developed a passion for bowling as well as athletics and fitness through high school that carried into his adult life. He went on to earn a degree in Exercise & Health Science from Kennesaw State University in Atlanta. 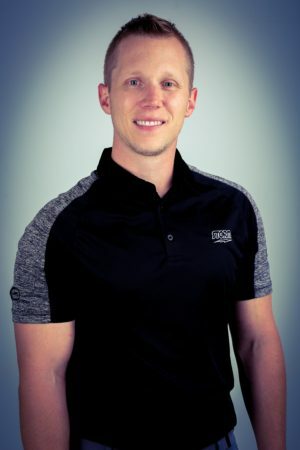 After graduation, he decided to move to Florida to pursue a master’s degree in Exercise Physiology from the University of Florida and started working at a pro shop. He was passionate about learning more about the sport and personalizing layouts for his customer’s individual styles. He joined the PBA Tour and competed on the regional tour while managing his own pro shop. He quickly gained notoriety around the South for his outstanding drilling and layout recommendations. After working as a pro shop operator for a few years, McLean attended a Storm Pro Shop seminar and met Steve Kloempken who was the Technical Director at the time. He knew then that he wanted to be part of the technical team at Storm. McLean joined Storm as the Technical Customer Service Representative at Storm Headquarters in 2015, where he was responsible for facilitating warranty claims and assisting with ball testing. He was quickly promoted to technical manager and his added responsibilities included international ball development, website updates, and writing technical articles about the product line. McLean continues to leave his mark on the sport through the bowlers he has helped, pro shop operators he has guided, technology he has directed, and the records he has crushed. He has been inducted into the Guinness Book of World Records seven times, most recently for the most bowling balls held simultaneously. In his new role, he will be working closely with the R&D Team conducting ball tests and developing weight blocks. He’ll be responsible for the development of Storm catalog inline balls from logo ideation to ball colors and fragrances. He will also take care of the USBC ball approval process and all approval applications. “I look forward to Chad assisting our team in continuing to develop the most innovative products in the industry,” Boomershine, Vice President of Sales and R&D, said. Chad will also provide more direction during our video productions and will be responsible for the description of our products to the consumer through digital and print communication. As chieftain of the technical department, McLean is also extremely excited to help Storm look to the future of technology. McLean lives in Brigham City, Utah with his wife Mandy and young daughter Kenzie. Couldn’t have happened to a more deserving gentleman! I’ve known Chad personally for the better part of 7 years now and not only does he eat, drink, sleep & love bowling…he loves making bowlers better through his knowledge and expertise! A true ambassador of the sport, Storm Bowling has just promoted the right man for this challenging tasking! Well done Storm & congratulations Chad! Keep up the great work!